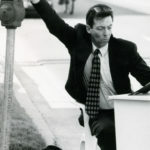 Underdog Unleashed… is a 60 second comedy rant by Richard Stockton on KPIG Radio 107.5 FM, Monday through Friday at 6:30 am and 8:30 am. From Omei’s Restaurent to Martin’s Beach, our lifestyle, our environment and our pet peeves on the Central Coast are skewered, lampooned and roasted. 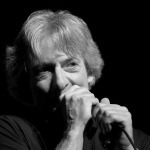 To see the video version of the KPIG broadcasts go to YouTube.com and enter Underdog Unleashed to get to the Underdog Unleashed Playlist. 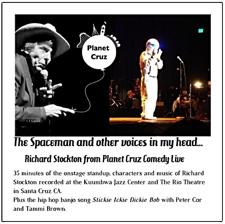 Planet Cruz Comedy returns November 18, 2017, at The Rio Theatre in Santa Cruz. We can no longer ignore the threat from space. Here is the video Space Bust that we produced at the police department with Butch Baker and Zach Friend. They both appear about one minute into the video, Butch trying in vain to remove The Spaceman’s helmet. Butch really liked to laugh. Kirby Scudder (The Muse, SCICA and hopefully therapy) has produced this three minute documentary about the last Planet Cruz, all shot from backstage. 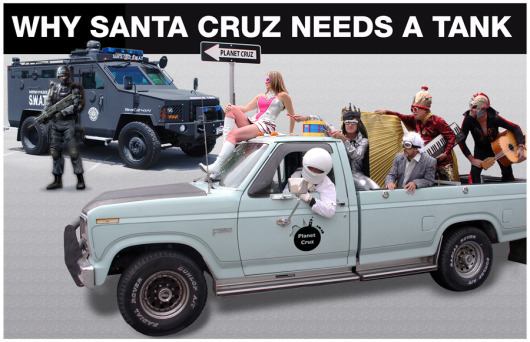 Scudder was turned loose with a video camera to roam backstage at the last Planet Cruz, shooting cast and crew. The soundtrack is Alan Heit singing “Roll With It Baby” with Tammi Brown and the Planetoid Band. Planet Cruz Comedy will come back to the Rio Theatre in November. Cast and crew is excited. More coming as it unfolds.See ya in November! A video of comedy standup from my baby boomer show about Dr. Benjamin Spock teaching our parents to make us believe in ourselves. Whoever that might be. 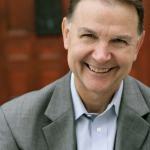 Dan St. Paul’s hilarious video What’s Funny After 50? Dan St. Paul on Boomerdy. NEW ALBUM – GET IT FREE! !